After much begging and pleading…here it is. A no-holds-barred review for this monolithic pillar of the gaming world: StarCraft II. There are many factors that go into how difficult it is to make a fair assessment of this game. For starters, SC2 tends to be the kind of game that you are either playing right now, or you simply aren’t. It’s not to say that it garners a particular love/hate relationship among gamers (despite what all the “we want LAN” protestors may have said about it). It’s simply because this real-time strategy game, like so many others made by Blizzard, demands so many hours of your life to thoroughly enjoy it. Another aspect that makes reviewing tough is the sheer cultural impact this game has had on the gaming community since the first StarCraft came into being. Decades from now, out of the thousands out there, what other games will be able to claim their own international sport? Nevertheless, the inner workings of Blizzard’s new money-printing machine deserve to be dissected and analyzed, for all the on-the-fence gamers out there looking for a fair review to help them decide if StarCraft II is a worthy investment of time. First on the table is the single-player mode. 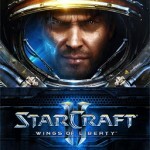 Wings of Liberty is a terran-focused campaign that brings all of the strengths and advantages of the human race to light for beginner players. Clocking in at a whopping twenty-six missions (out of a possible twenty-nine, which is dependent on a few branching scenarios), this game is simply huge! While on board the Hyperion between missions, you can spend credits earned on permanent upgrades to your units or hire mercenary veteran-type units to join your forces. 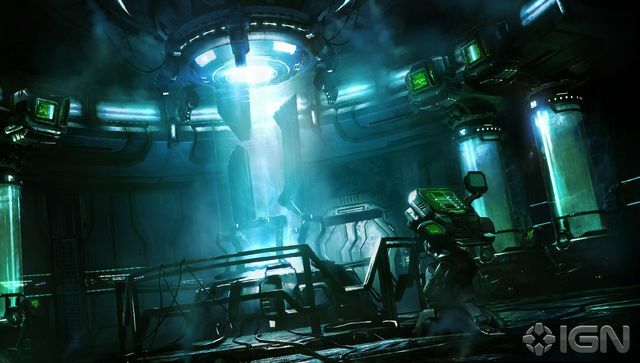 You can also collect zerg bio-samples and protoss relics during each mission, which can be used to research new abilities, units, and constructs for your forces. Finally, you can kill time trying your hand at the rail shooter arcade mini-game Lost Viking. It serves as an example of Blizzard neglecting nothing in its objective to create a fully-developed, well thought-out game, no matter what the size or scope. Finally, there is a protoss mini-campaign that can be played out, which veteran StarCraft players can have fun trying out and completing. 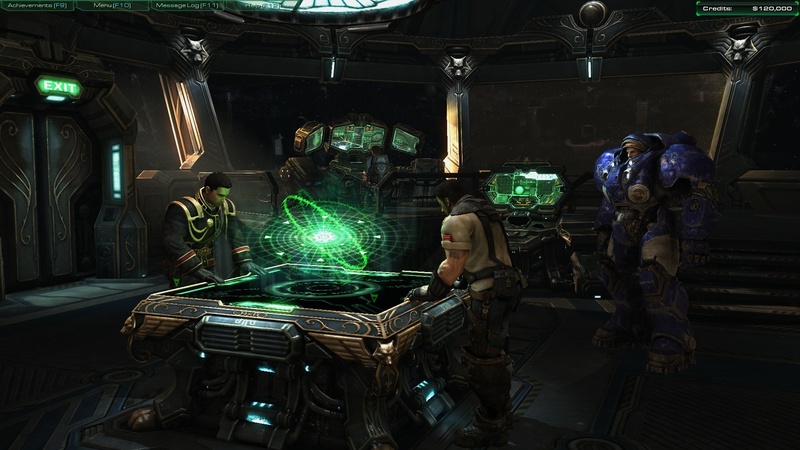 Although SC2’s campaign mode was criticized as being incomplete, due to the other two race-based campaigns still being developed, the sheer number of missions offered to the player easily make up for that. Each mission introduces additional units to command, and gives the player a good demonstration of said unit’s capabilities out in the battlefield. Finally, there are many different objectives to achieve for each mission, which is a refreshing change from the usual setup of victory by attrition; they do not often require you to overrun and destroy enemy bases, but rather to arm yourself with a cumulative knowledge of all your army’s forces and their abilities in order to meet various goals. There were many notable improvements to the game that are worth mentioning for multiplayer. For years, competitive StarCraft games were notorious for being mostly micro-heavy sumo matches, due to severe macro limitations. That is, unit production and army-building was still about as slow as in Blizzard’s previous RTS titles, with very little for players to do but keep a stream of production going at all times while frantically switching between battlefronts and bases. Most competitive matches could be summed up in mere APMs (actions-per-minute), where the best micro player wins. Things really changed with the sequel, however. Macro and micro have significantly improved. The ability to group production along with armies gives players less need to bounce all over the mini-map. Blizzard also puts a lot of work into maintaining race balance with each new update it brings, making sure overpowered units become a real thing of the past. Furthermore, the matchmaking system for multiplayer is pretty fair in assessing players’ ability and experience in regard to where they are placed in the various leagues that exist. Players can make use of game replays to assess their strengths and weaknesses and improve on them in future games. The game does its best to reward hard work and game improvement, so that players can move up the ladder with the more games they play and win. The biggest controversy, however, comes from the currently unavailable LAN game options that angered thousands of veteran players leading up to its release. If not for that fact, the game play would have probably earned a higher rank. However, the overall polished quality of this game, atypical of most Blizzard titles published thus far, easily makes up for that difference. In addition to the fiercely-competitive quick matches, multiplayer also offers fun custom games to try as well. Using the highly-advanced StarCraft II Editor, players can create all sorts of different games that are not limited to RTS. To date, there have been custom-made RPGs, first-person shooters, racing games, countless tower defense games, and even simulations of other popular titles like Civilization, Bejeweled, and Left 4 Dead. Players often spend as much time designing, building, and playing these kinds of custom games as they do competing in quick match, adding more depth to the amount of fun that can be had. 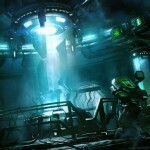 The visuals are stunning, partially due to the graphics updates to the StarCraft universe. The worlds all look like they could conceivably exist, each with their own distinct flora and fauna. 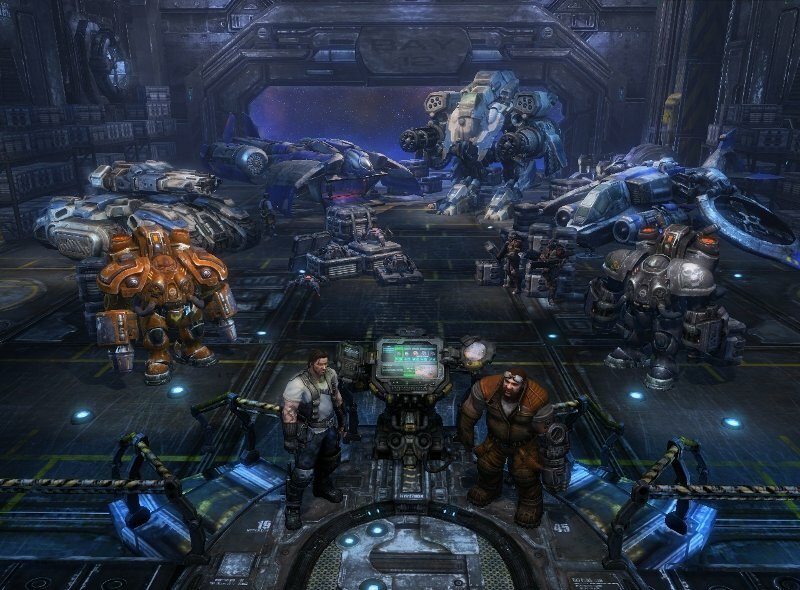 The terran worlds, the main focal point in the campaign, contain detailed scenes of Mengsk’s propaganda and control over the Dominion colonists, as well as insight into the daily lives of ordinary hard-working people. The distinct flavor of American southern and western themes are peppered throughout, continuing on with the concept of the earthling exiles maintaining roots in redneck/country culture. Glenn Stafford and his team also did a good job with the terran-themed score, lending rock and metal mixed with country, blues, and folk tunes. These genres testify to both the adaptive (albeit “primitive”) metallic technologies of the terran race and their hot-blooded, rebellious, freedom-loving spirit in the face of impossible odds. 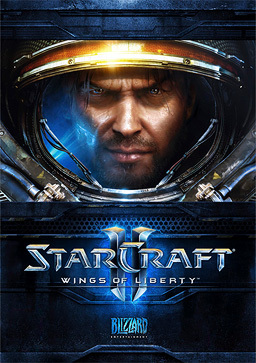 The themes for the zerg and protoss, in comparison, maintain the same kind of qualities as in the previous game, but updated with more orchestra-heavy elements. It remains to be seen if the zerg and protoss soundtracks will be developed more upon the release of Heart of the Swarm and Legacy of the Void, respectively. The overall music quality, however, is professionally made and on-par with the likes of John Williams and Howard Shore. The Wings of Liberty storyline continues where the Brood War expansion left off. The scene opens with Jim Raynor, now a rugged, bitter man with a penchant for alcohol and a biting cynicism. His hatred for Arcturus Mengsk, the man who betrayed Jim’s comrade Kerrigan and set in motion her tragic metamorphosis into the malevolent Queen of Blades, is the sole driving force that keeps him alive. Although the cause of the Raiders is just—liberating the people from Mengsk’s tyranny—the underlying motive is vengeance. 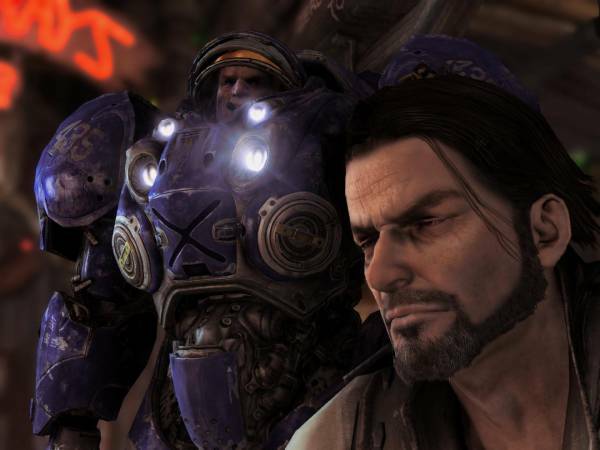 Yet through the course of the game, Raynor reconnects with the higher sense of justice he used to have long before Arcturus and the Brood War turned his life upside down. The story was well thought-out and full of underlying themes of what it truly means to be selfless and honorable. 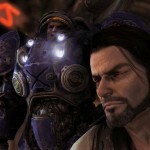 Raynor’s allies are all full of personality and stand on their own as interesting characters. 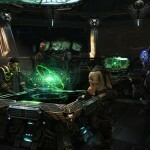 During the special protoss mini-campaign, the player can get a small peek into their lives and their honor-bound culture. One protoss mission in particular had a very emotional impact on me, as it must have had for other players who experienced it. This game’s storyline has a lot of heart and soul, and it’s a clear indication that the remaining two episodes of the saga will not disappoint fans of the StarCraft narrative. 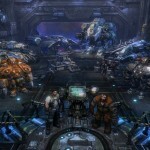 StarCraft II has much to offer to players who have played the first game in the series. Besides the across-the-board upgrades in visuals, sound, and game play, the game shows a great deal of evidence that Blizzard loves the products it makes and works to maintain a close relationship with its fans and supporters. In spite of the few incomplete features it contained at its initial launch, the game content was humongous and easily continues to keep players entertained and happy until the other campaigns are added. For those who have yet to try this game, it is my hope that this review has done its job in enticing potential players to give this great game a try.